They were women of creativity. One was an artiste of unsurpassable skill and grandeur. The other was a poet who believed that politics was an arena she needed to wade into. Both have left enduring legacies behind. Both were Bengalis. One died a year after the other was born. They shared their birthday. And they died in the same month. 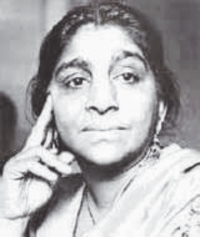 Sarojini Naidu was born on 13 February 1879. Nilufar Yasmin opened her eyes to life on 13 February 1948. Naidu's life came to a close on 2 March 1949. Yasmin passed into the ages on 10 March 2003. It was music which gave substance to Nilufar Yasmin. The fourth among five sisters, she found it sheer joy to be the offspring of parents in whom modernity was a defining code of existence. Her father's liberalism of thought was the guiding principle on which life in the family moved along. 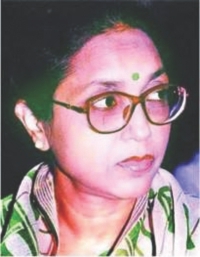 Her mother sang well, knew the intricacies of music, which talent was passed on to all five daughters, four of whom found significant perches in the realm of Bengali music. The remaining daughter, the third in that illuminated sibling kingdom, carved her own niche in education, the disseminating of it. Nilufar Yasmin remains, a decade after her death from cancer, a powerful point of reference for music aficionados on both sides of the old Bengal. Her renditions of Nazrul songs have not quite been matched by her contemporaries, or those who have come after her. In her voice, in the tonality of it, was captured the very essence of Nazrul. Passion defined her hold on the classical; and in her voice it was the ancient classical tradition in subcontinental music that not only came alive once again, but also went into exploring newer dimensions. Yasmin's versatility was all. She sang Nazrul, of course. And then she went beyond Nazrul — to Atulprasad, to Dwijendralal and Rajanikanta. She sang, eyes closed, lost to the present and thus mingling with the timeless. You listened, eyes closed, sharing the energizing spirit defining time and space in her and then internalizing it within you. Ten years after life took leave of her, Nilufar Yasmin goes on singing for us, arousing in us all the emotions that come associated with love. She sings 'ke bideshi mono udashi / baanshero baanshi bajao boney' like no one else can. The song elongates itself into the twilight. You wait for the lover, as the first star gleams in the sky. Nilufar Yasmin brought pathos into her song. She sings, across the frontier between life and death, the sombre 'jibon shey to poddo patae shishir bindu / morubhumir buuke achhe bishad shindhu'. A dash of the spiritual, a shining bit of piety, rises in your inner being. And your heart offers homage to the soul that will forever be Nilufar Yasmin's. To her poetry Sarojini Naidu added political substance. No, she did not mingle one with the other. She only complemented one with the other and so happily trod a new path in poetry. There were those in whose company her brilliance shone through. Gandhi, Gokhale, Jinnah, Nehru — all of these men were charmed by the sparks Naidu gave off. Her poetry was deeply romantic. Her wit enlivened social gatherings. And her politics consistently underscored her sense of nationalism. She believed in a united, multi-religious and multi-cultural India and was wounded severely in the heart when it was a divided India that people, Hindus and Muslims, celebrated in the aftermath of freedom. And then came Gandhi's assassination, truly a tragic end to a glorious chapter of struggle. Naidu mourned. And then she carried on, as governor of Uttar Pradesh. To Nilufar Yasmin and Sarojini Naidu, in these early days of Phalgun, go our tribute in all its warmth and ecstasy brought on by thoughts of the aesthetic kind.